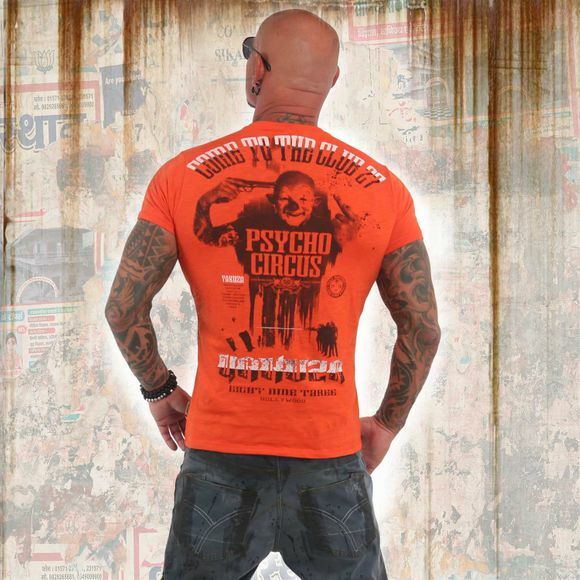 YAKUZA PSYCHO CIRCUS men's t-shirt from the Rehab Line range. 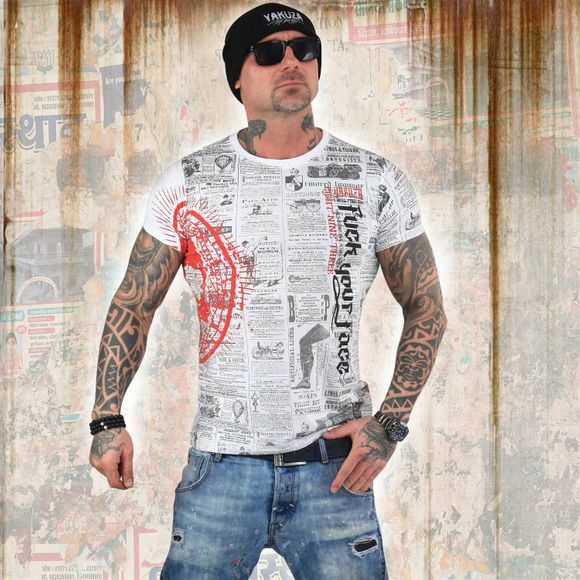 This classically styled crew neck t-shirt features a vintage print design. The t-shirt is finished with a Yakuza leather tab on side seam. Please watch out for our size specifications and the washing instructions below.